An amazing 18ct rose gold and platinum 2.58ct multi-diamond and emerald ring made for a wonderfully eccentric personality. 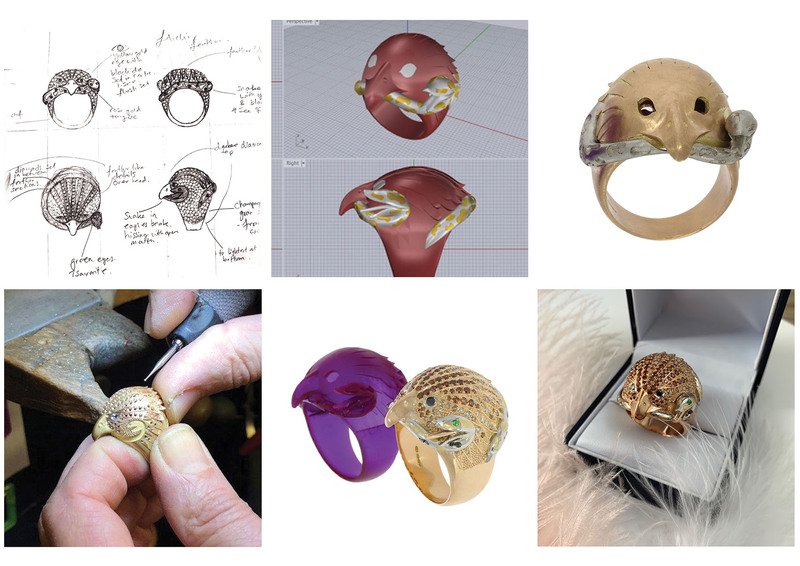 The eagles head and feathers are all cast in rose gold with graduated pale to dark cognac diamonds grain set across it. 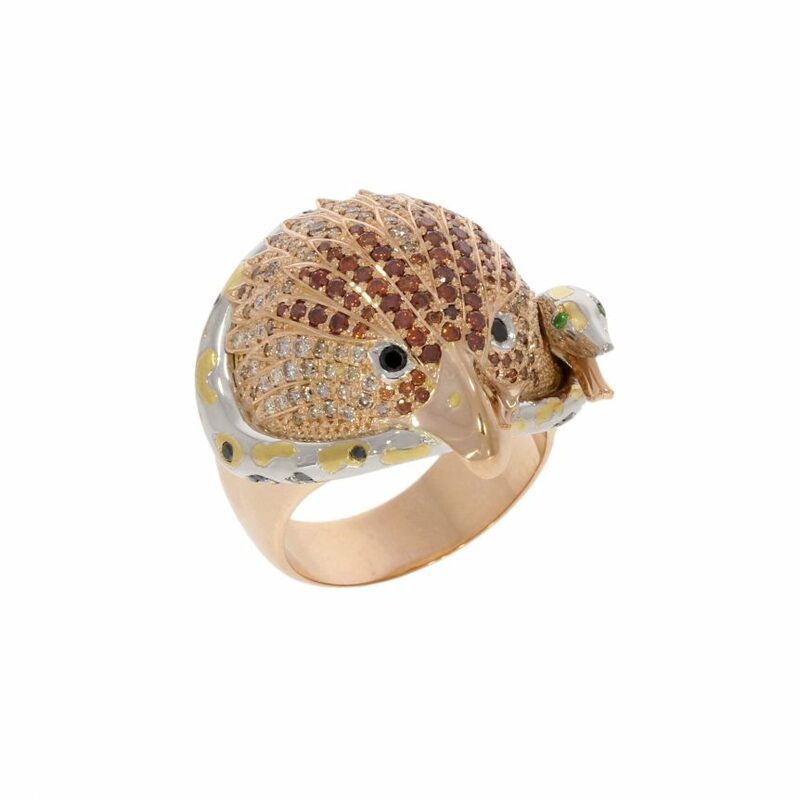 His eyes, and the snake in his beak, are both made with platinum and set with black diamonds, while the snakes eyes are set with green tsavorites. This magnificent and clearly technically challenging design is a wonderful example of the amazing modern technology we have in the Wylde workshops, and embraced the key talents of our fabulous in-store jewellery designers, master goldsmiths and stone setter.